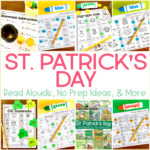 Once I became a kindergarten teacher, I discovered a whole new kind of love for St. Patrick’s day. I just adore how little people believe that leprechaun’s are real. During the month of March anything that happens or goes wrong is automatically blamed on the leprechauns. A missing pencil or a book that was moved quickly becomes the result of a sneaky little guys in green. Any other time of the year, it’s no big deal. In December we blame the elf; in March we blame the leprechauns! 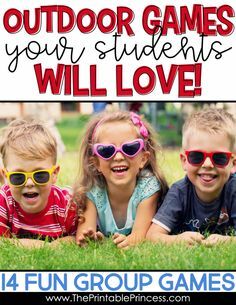 I’m all about using themes and putting kids excitement about holidays in to classroom learning. 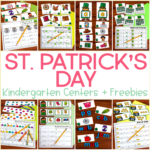 So today I’m going to share a few leprechaun activities for Kindergarten that can be used for St. Patrick’s day activities…or all March long. 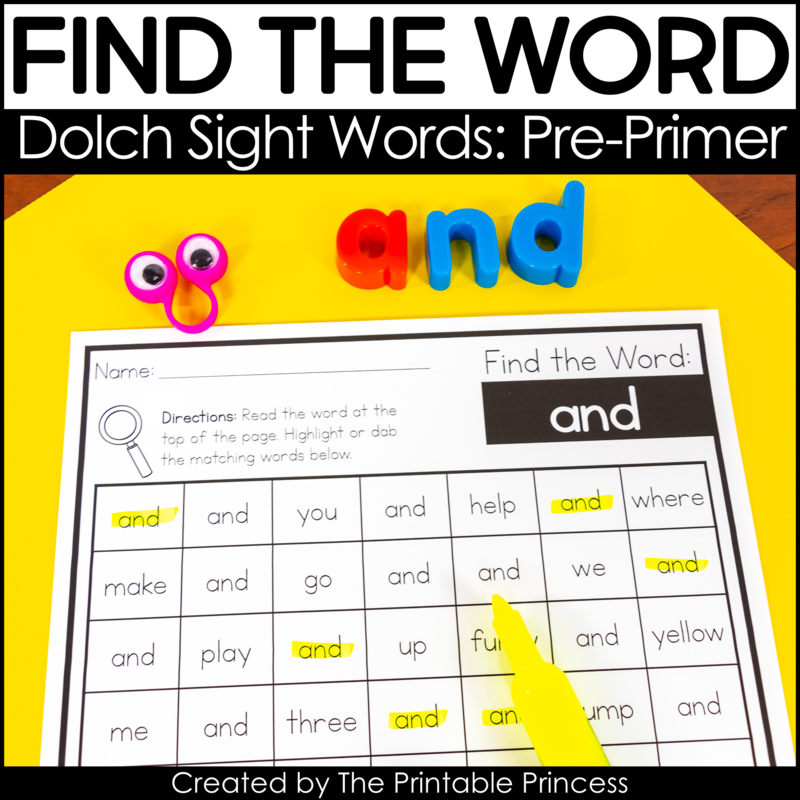 Here’s a quick little partner game to practice digraphs. Just add dice and mini erasers or plastic cubes. You can find these St. Patrick’s Day mini erasers on Amazon. Students play with a partner. 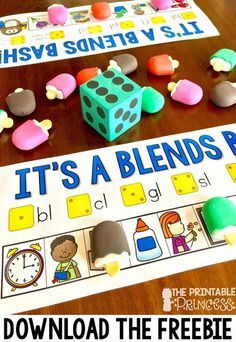 Each student rolls the die. Student that rolls the biggest number starts the game. Students roll and count the number. They match the number that they rolled to the code at the top of their game mat. Then they cover a corresponding space with the beginning digraph sound. 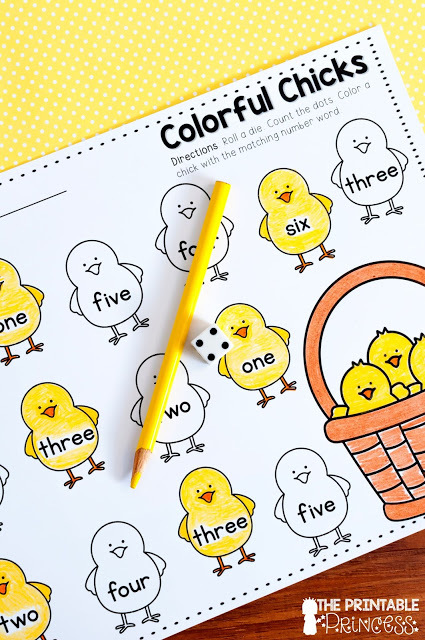 If a student rolls a digraph and all of the pictures have been covered, they skip their turn. The first player to fill all of the spaces on their mat wins the game. 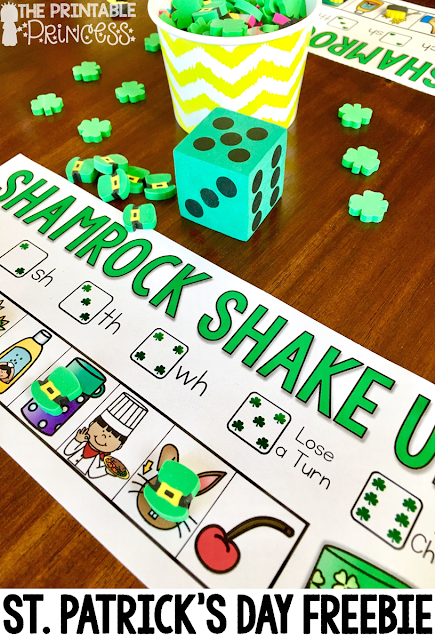 You’ll need shamrock cut outs (or green pieces of paper) for this activity. These are the shamrock cut-outs that I used. 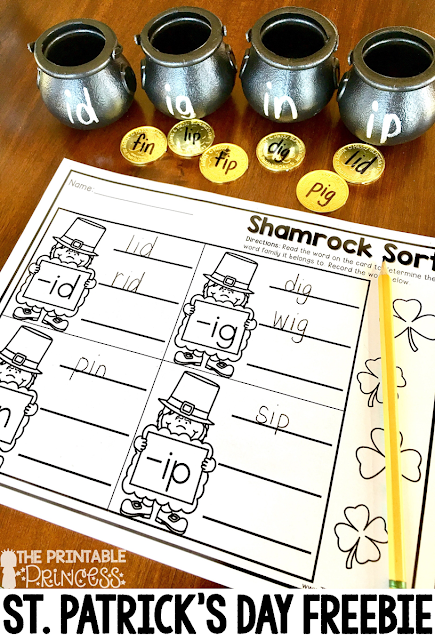 On the shamrocks, write the short i words that you want your students to practice. You can stick with CVC words or add words like grin, chin, chip, slid, etc. 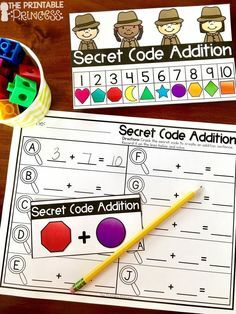 Use this as a write the room activity or in a center. 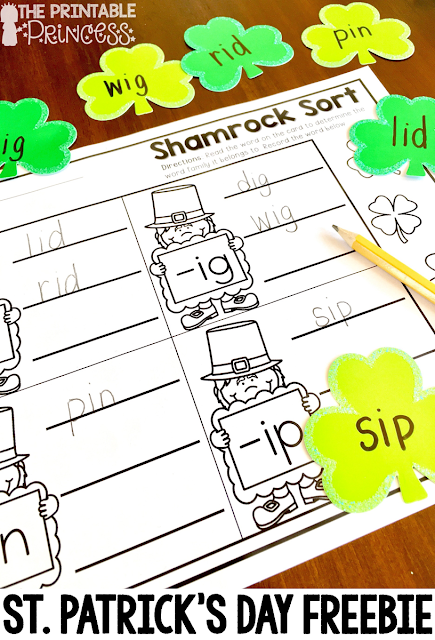 Students will select a shamrock, read the word, and record it on their paper. 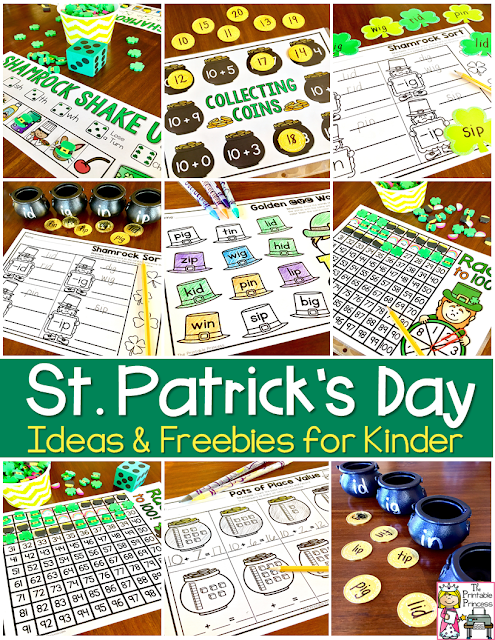 Here’s another quick literacy activity for St. Pat’s day. You could do this with any word family. You’ll need some pots and gold coins. I found the gold coins and small black cauldrons on Amazon. I used a silver Sharpie marker to write the word families on the black pots. 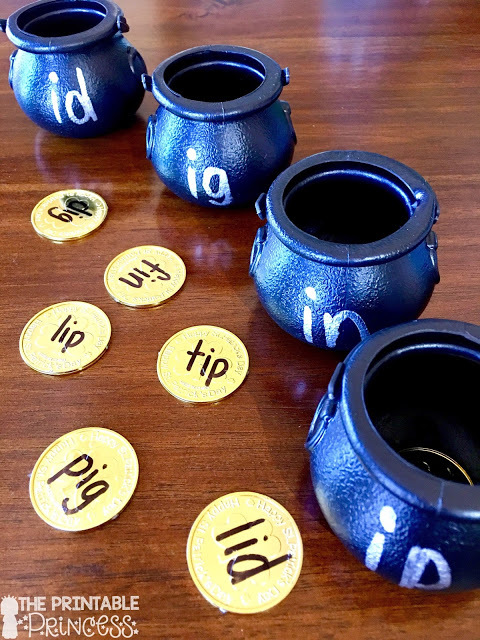 Students read the word on the coins and put them in the corresponding “pot”. 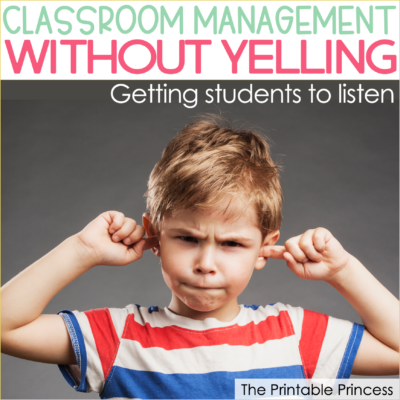 You could use the same recording sheet as a follow up activity. I also included a follow up page for extra practice. 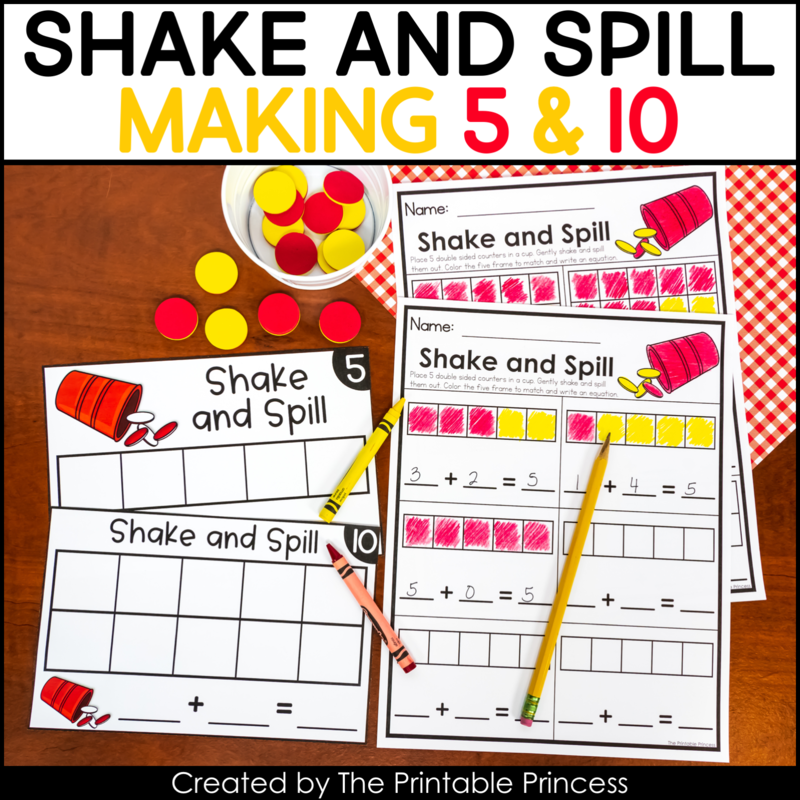 Use it for morning work, homework, or a fast finisher activity! Race to 100 is always a class favorite. This can be played with a partner or individually. 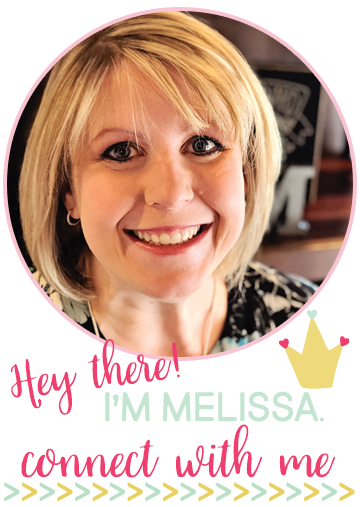 Print the page and slide it in to a page protector. Students use a paperclip and pencil to make a spinner. 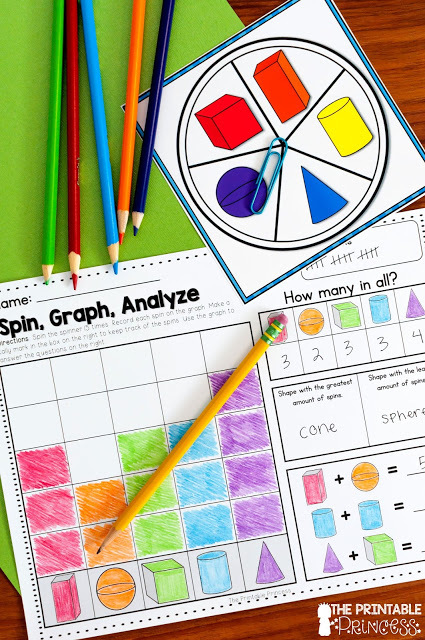 After they spin they add that many manipulatives to their game board/hundreds chart. 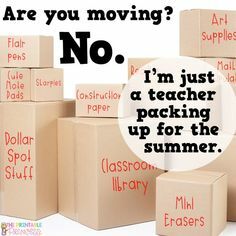 You can have students use plastic cubes, mini erasers, or other small classroom manipulatives. I tell my students to change the manipulative after every roll so that they can keep track of the numbers and amount of times they have rolled. Reason #428 on the list of why I love teaching Kindergarten. 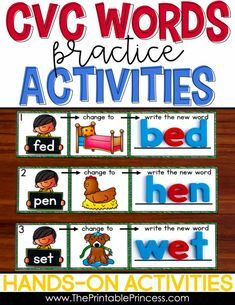 You can take the same activity, slightly change the directions, and BAM!!! it’s a brand new FUN game! So with that in mind, here’s a different version of the same activity. Students are completing the same exactly, they are just rolling dice instead of using a spinner. Just print the page and slide it in a page protector. 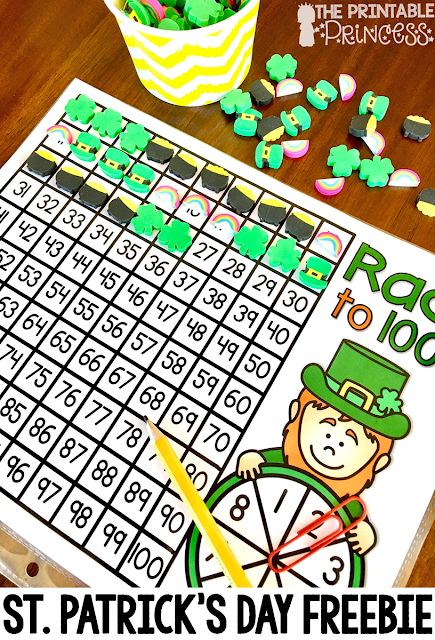 This time students will use dice to make their way to 100. 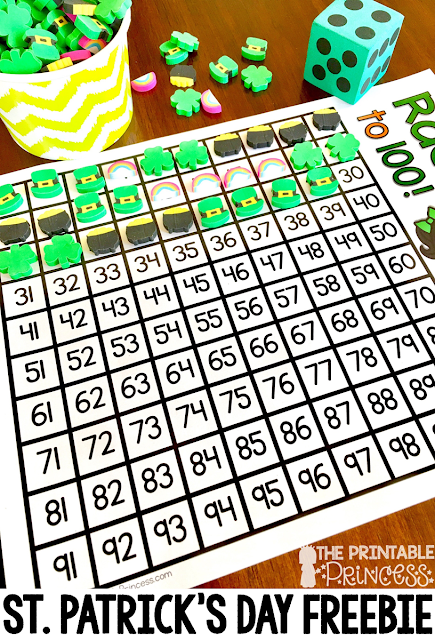 Students will roll and count then add that number to the hundreds chart. 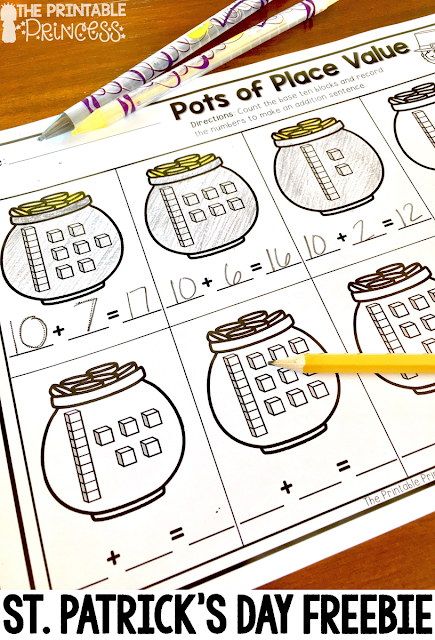 Here’s another easy to implement math freebie. This would make for a festive fast finisher activity or morning tub activity. Just print and slide in a page protector. Use gold coins or yellow circles. 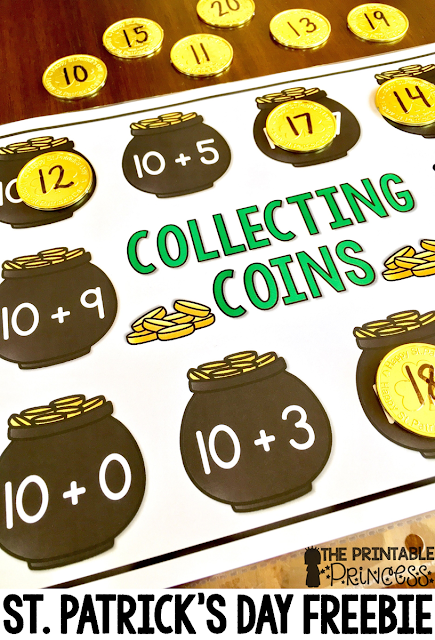 Write the numbers 10-20 on each of the gold coins. Students match the coins to the mat. Here’s a follow up page for extra practice. Use it for morning work, homework, or a fast finisher activity. 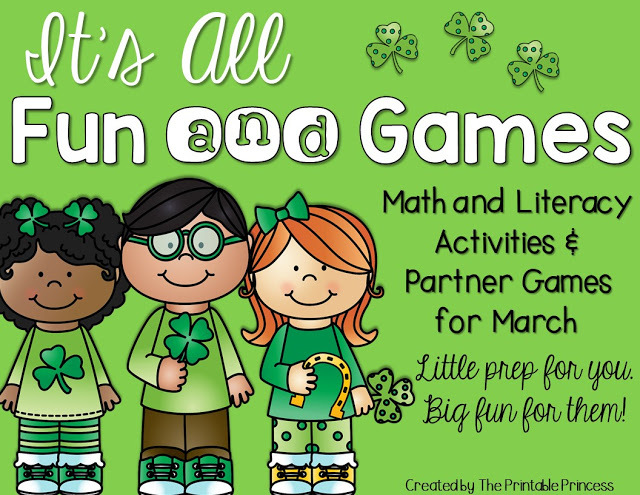 I’ll post a link at the bottom to the freebies, but I also wanted to also share a sneak peek of some of the activities included in the “It’s All Fun and Games: March Edition”. 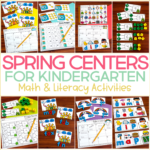 This packet includes over 27 different activities for math and literacy. There are so many different skills covered in this packet! 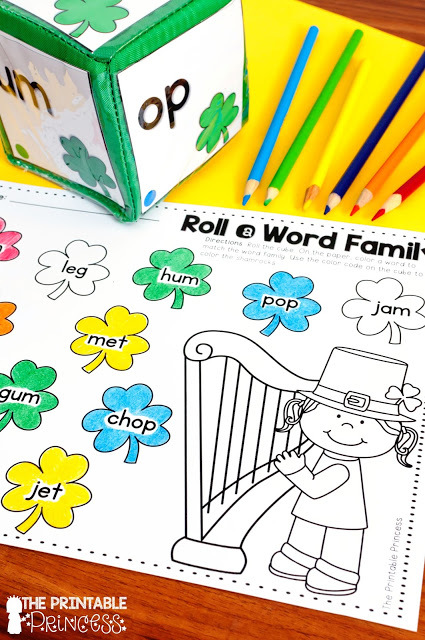 For this “Roll a Word Family” activity, I used the Differentiated Cubes by Carson Dellosa. I love, love, love these cubes! It’s so easy to just print pictures, cut them apart, and slide them in to the pockets for different activities. (I also included a regular cube in this packet, if you don’t have the ones by Carson Dellosa). Students roll the cube and read the word family. They find a shamrock on the paper that belongs to the word family. They color that shamrock using the color code on the cube. 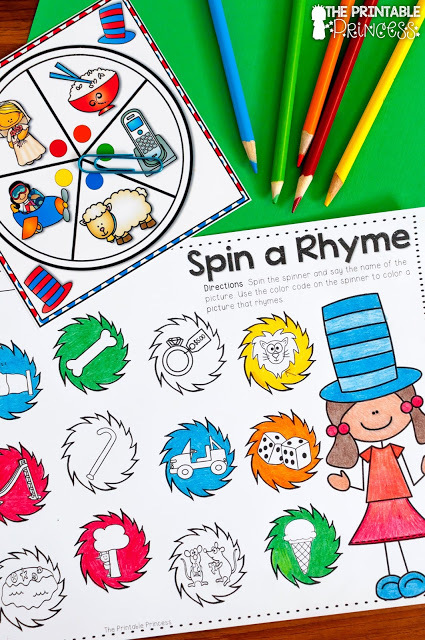 Another spinner activity to practice rhyming words. Students spin the spinner and find a rhyming match. They color the picture using the color code. 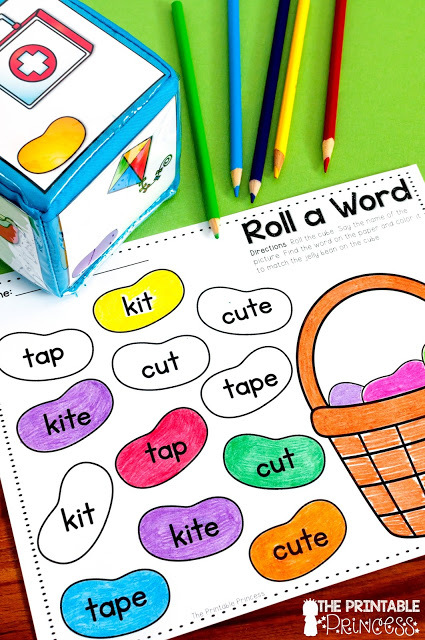 Help students learn the difference between words like cut and cute, kit and kite with this long vowel and short vowel activity. Student roll the cube and say the name of the picture. 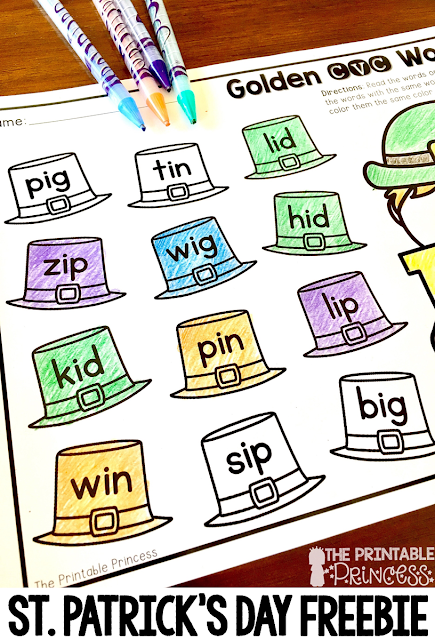 They color the matching word using the color code. 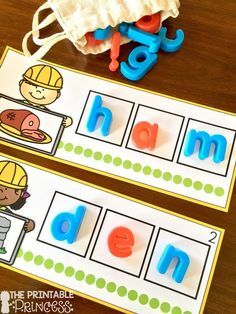 This digraph activity has similar directions to the activities I mentioned above. 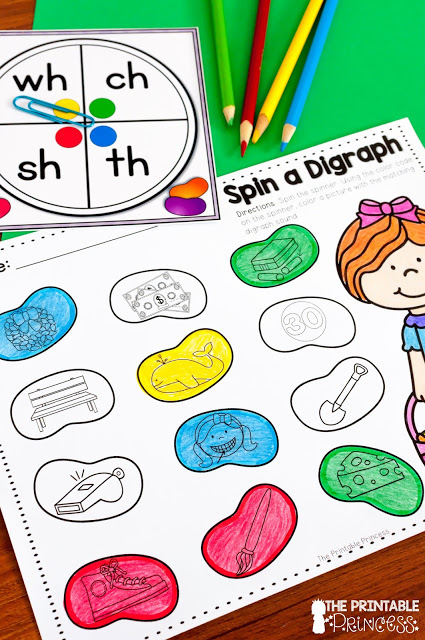 Students spin the spinner and identify the digraph sound. They find a picture with the matching digraph sound. 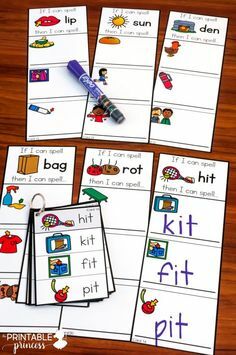 Digraph sounds can be found at the beginning or end of the words. 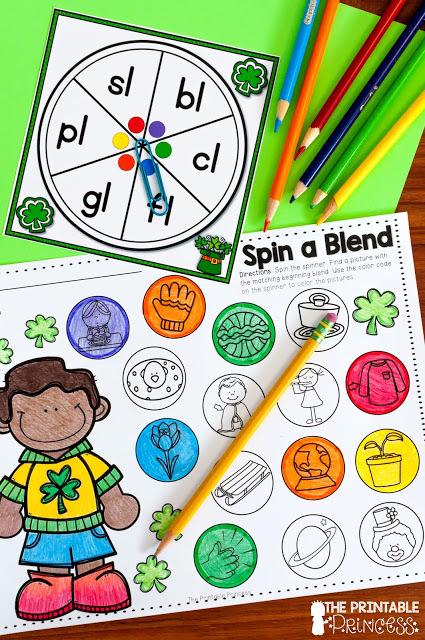 They color the picture to match the color code on the spinner. Base ten practice with a St. Patrick’s day theme. Students roll the cube and count the base ten blocks. 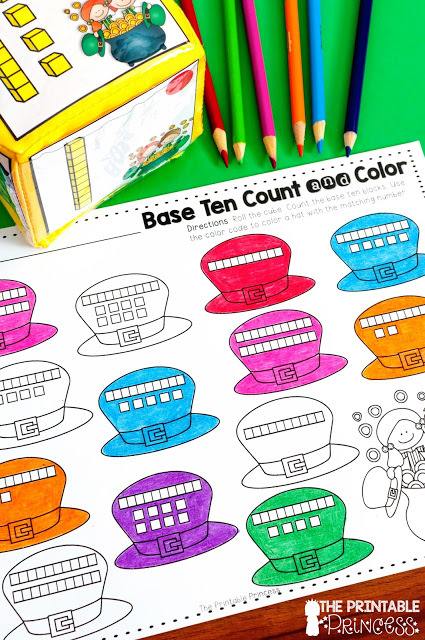 They find a hat with the matching number on their paper and color it using the color code. 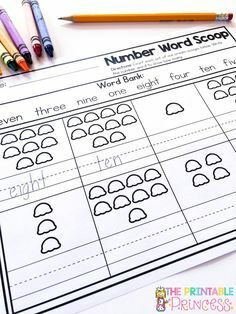 Teen number practice with this activity. 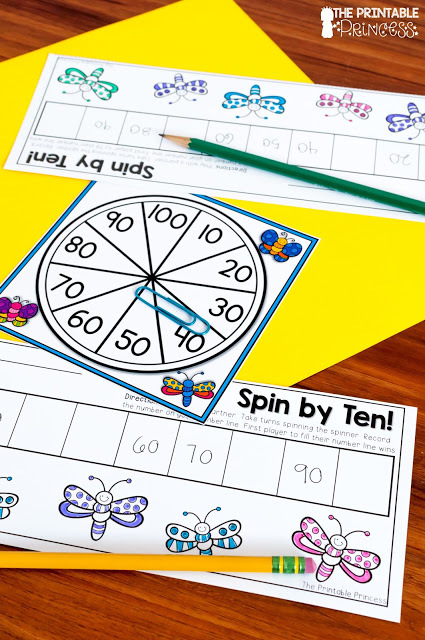 Students spin the spinner and write the number on the paper. 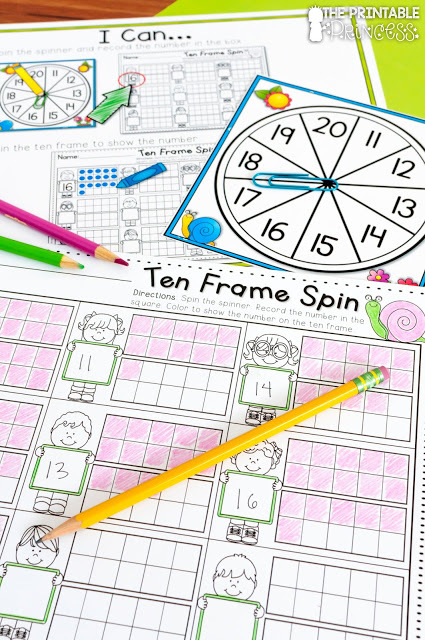 They color the ten frame to show the number. 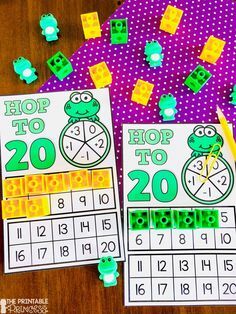 Students play with a partner in this count by 10 activity. Students take turns spinning the spinner. They count to find where the number should go on their paper and write the number. If they spin the number again, they skip their turn. The first player to fill their board us is the winner. This activity could also be played individually. 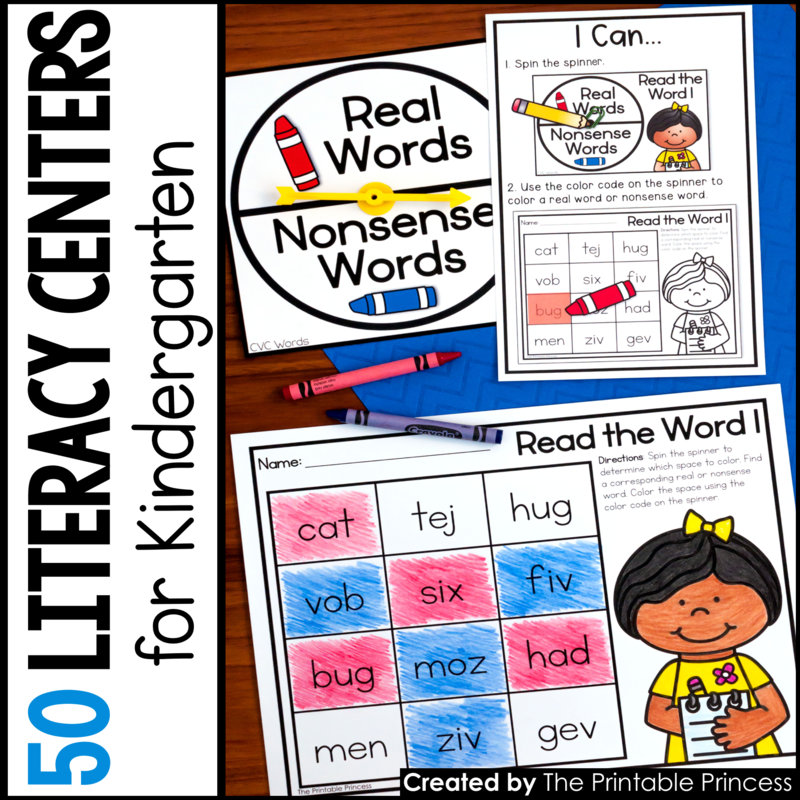 There’s several literacy and math no prep activities included in this packet. Here’s an example of one of them. Students roll the die and find the matching number word on their paper. 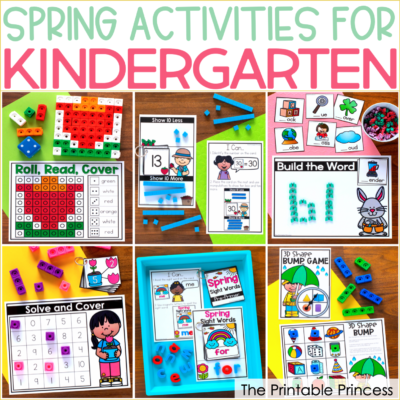 You can check out all 27 activities included by clicking on the picture below. or click here to check out the BUNDLE. 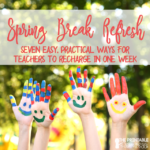 You can click here to download the freebies that I shared in this blog post.